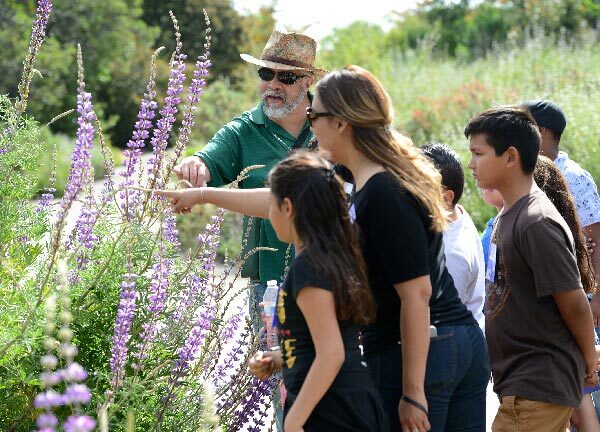 Stepping outside of the classroom and into Rancho Santa Ana Botanic Garden is so much more than a scenic stroll when students are accompanied by Nature Interpreters, our volunteer corps of knowledgeable guides. Participation in a guided school tour (1 hr.) or guided program (2 hrs.) is a memorable, meaningful experience for students. Nature Interpreters introduce, demonstrate and reinforce ideas included in K-8 Cross Curricular Common Core Standards and Next Generation Science Standards for California Public Schools. Tour and program topics include sensory exploration and observation skills, culture of California indigenous people and their use of natural resources, the ecological significance and conservation of native plants, plant and animal adaptation to habitat, and the natural history of California. Walking tours led by nature interpreters on Tuesdays, including Eye Spy, Who Lives Here?, How Does the Garden Grow?, Diversity University and our upcoming Origami in the Garden² tour. Walking tours with activity stations led by nature interpreters on Thursdays and Fridays. 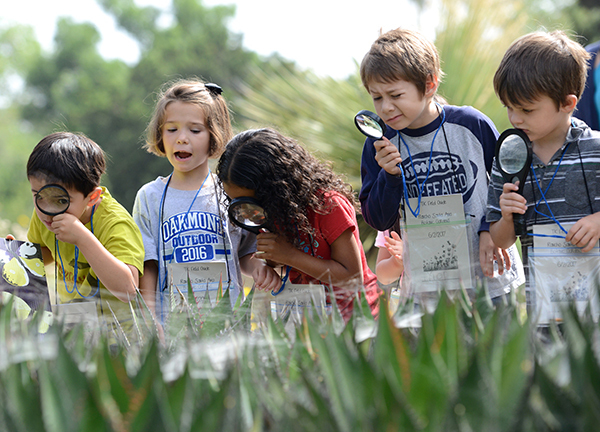 Two-hour RSABG school programs include Adaptation & Survival, Native Partners and Web of Life. 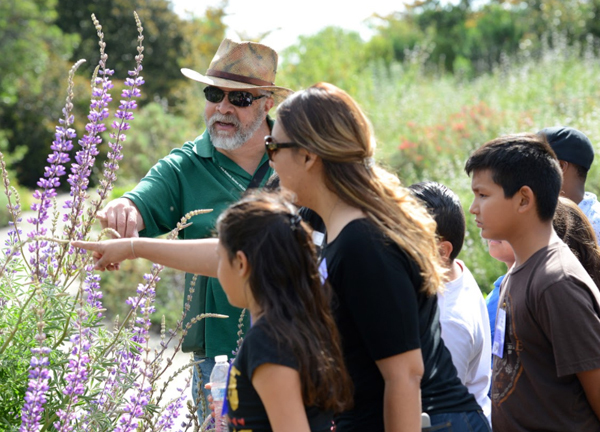 Join us for this special day celebrating teachers and the many educational opportunities at Rancho Santa Ana Botanic Garden! Teachers and their immediate families will be admitted at no charge. Tours and programs fill quickly. Advance reservations are required for guided school tours and programs. Reservations for each school year open first to teachers in attendance at our annual Teacher Open House, August 11, 2018. The open house is free to teachers, school administrators and their immediate families. RSVP required. Reservations open to all other teachers beginning the following day, August 12, 2018. Prior to requesting a reservation, please review the School Tour & Program Brochure thoroughly for descriptions, scheduling, requirements, reservation details and fees. Reservations for each month close on the first of the previous month. Requests will be processed in the order received. Grant funds for guided school tours and programs are available to assist qualifying Title I schools with tour fees and/or transportation reimbursement. A reservation date and tour fee total must be confirmed prior to submitting the Supplemental Funds Application.